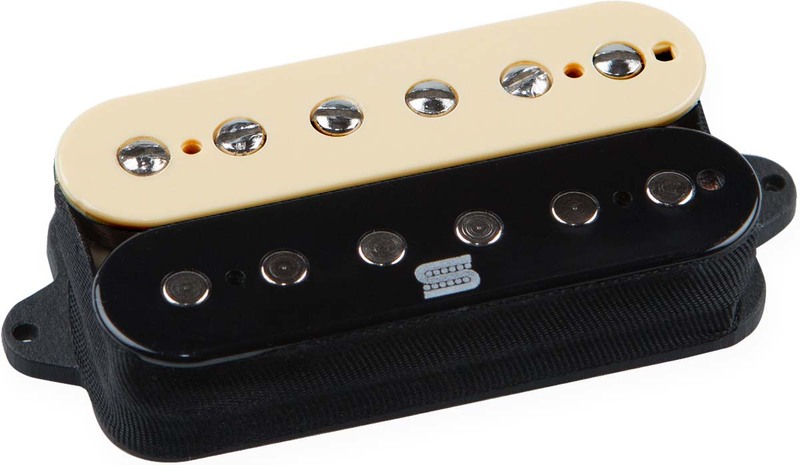 The Seymour Duncan Duality humbucker neck pickup employs a new concept in pickup design, merging the best active and passive technologies to create a versatile and dynamically rich tone palette. Duality™ humbuckers dispel the notion that you can't have your cake and eat it too. The Duality architecture revolutionizes pickup design, combining passive voicing and active dynamics into one. Duality simultaneously delivers a strong midrange, punchy and articulate lows with a three-dimensional high end. The feel is responsive, providing an organic experience that plays as good as it sounds. The output is incredibly versatile; powerful and tight enough for metal but open and clear enough for blues and rock. Chorded riffs take on new levels of chunk, and single-note runs are as fluid as they are punchy. Unlike traditional active pickups, Duality's unique, hybrid design brings the same tonal flexibility as passive pickups with the added benefits of an on board active preamp. Duality pickups are hand-made in Santa Barbara, California. Dimensions: 2.624" x 1.420" x 0.848"